Eva has been shown in both AKC and UKC and is pointed but her bigger contribution will be in the whelping box. Eva is a very important addition to our breeding program. Eva is UU or homozygous dominant for the gene that produces normal level of uric acid. 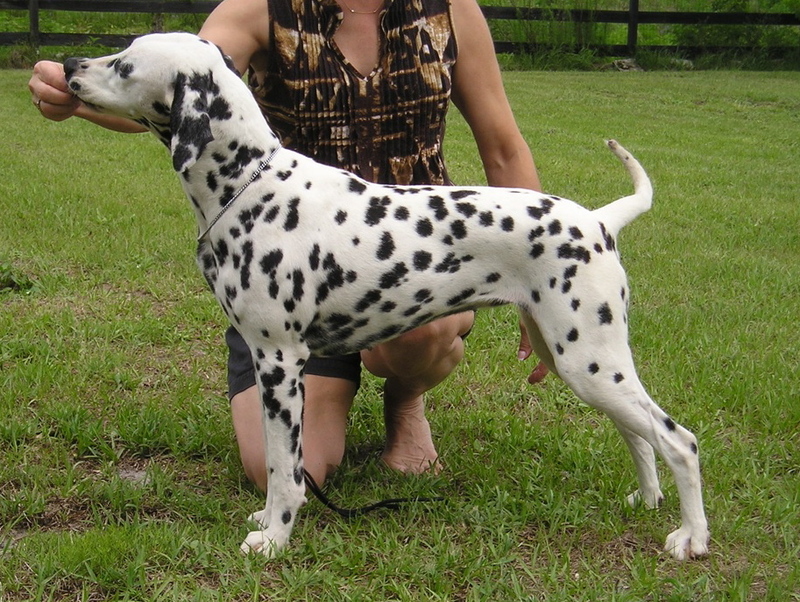 This means that none of her puppies will ever have the urate stone issues that plague many Dalmatians. Her first litter with Ian produced lovely puppies with great temperaments. We expect to see at least four of them in the show ring. Look for Woodwynd Cheshire U Had Me At Hello, Woodwynd U R The One That I Want, Woodwynd U R Spotacular and Woodwynd Take U To The Max.